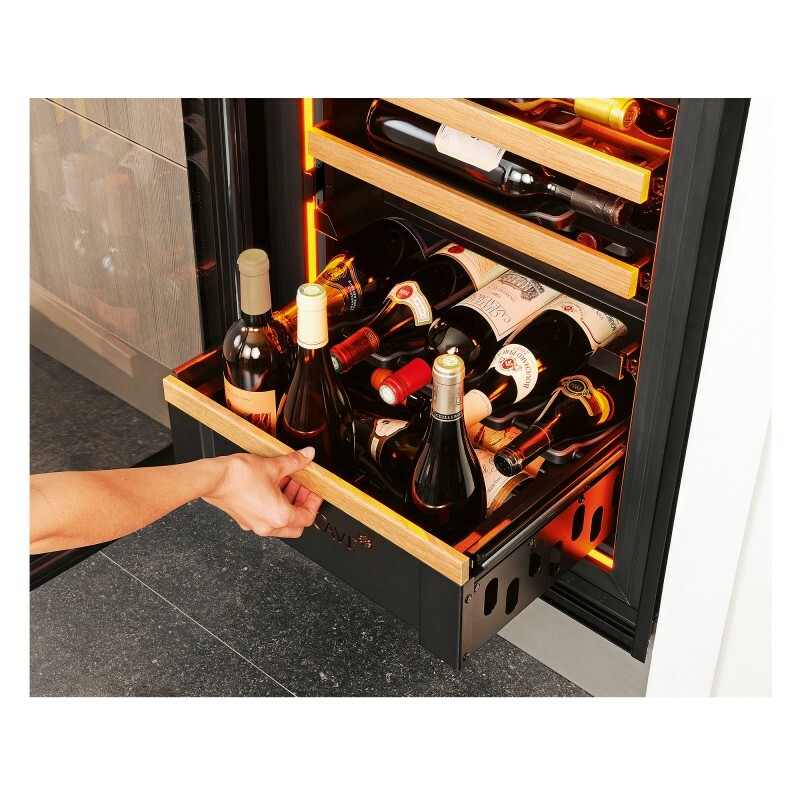 Wine cabinet, Multi-temperature, technical glass door, built-in and integrable. 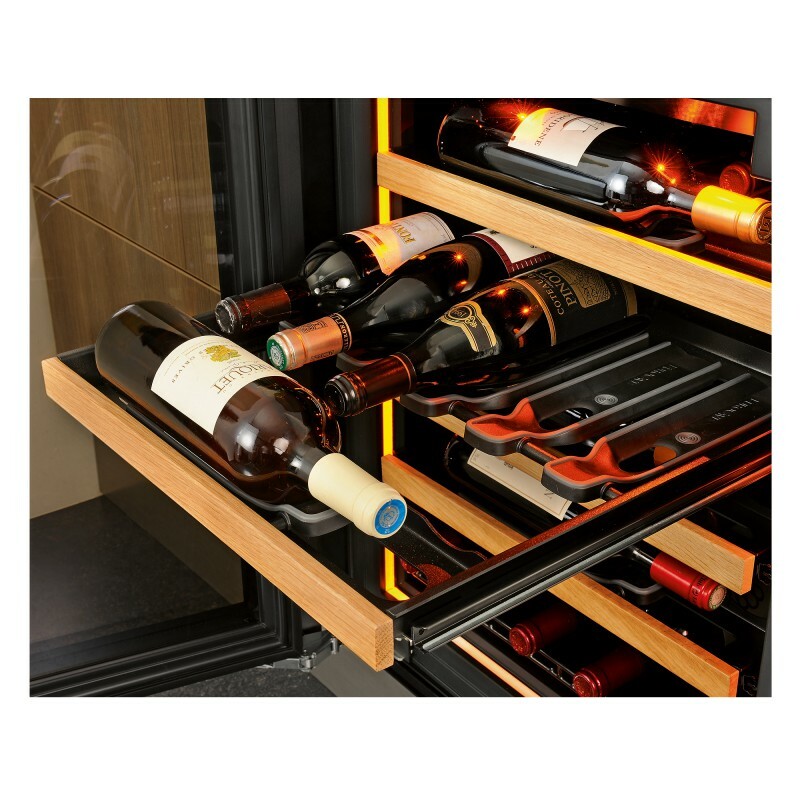 With its range of temperatures between 5° and 20°C, this wine cabinet is perfect for serving your wines. 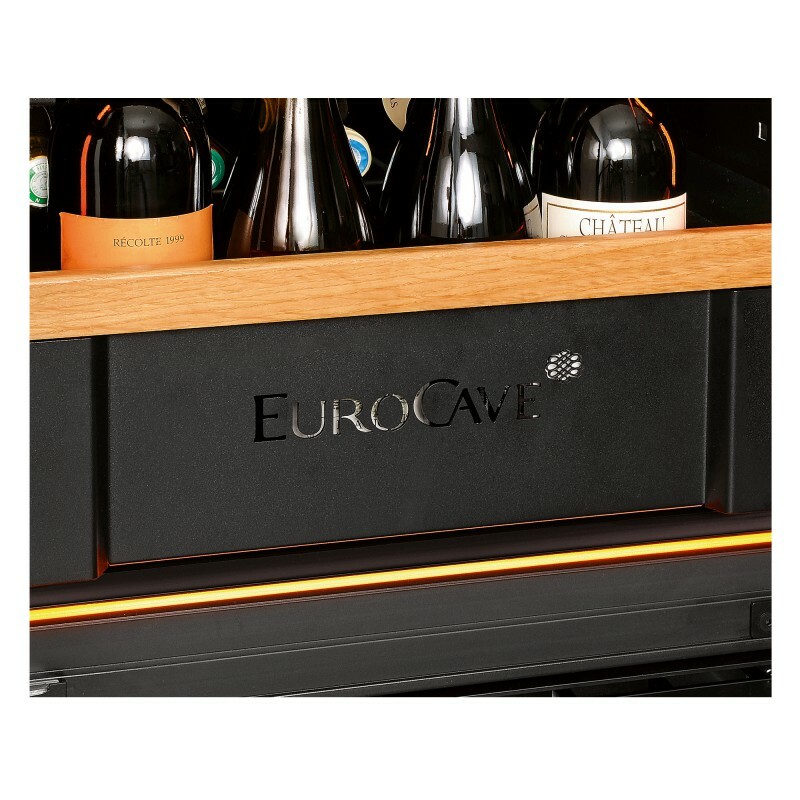 This model forms part of Eurocave's inspiration range: available in built-in or integrated versions, these wine cabinets have been especially designed to fit perfectly into your kitchen. 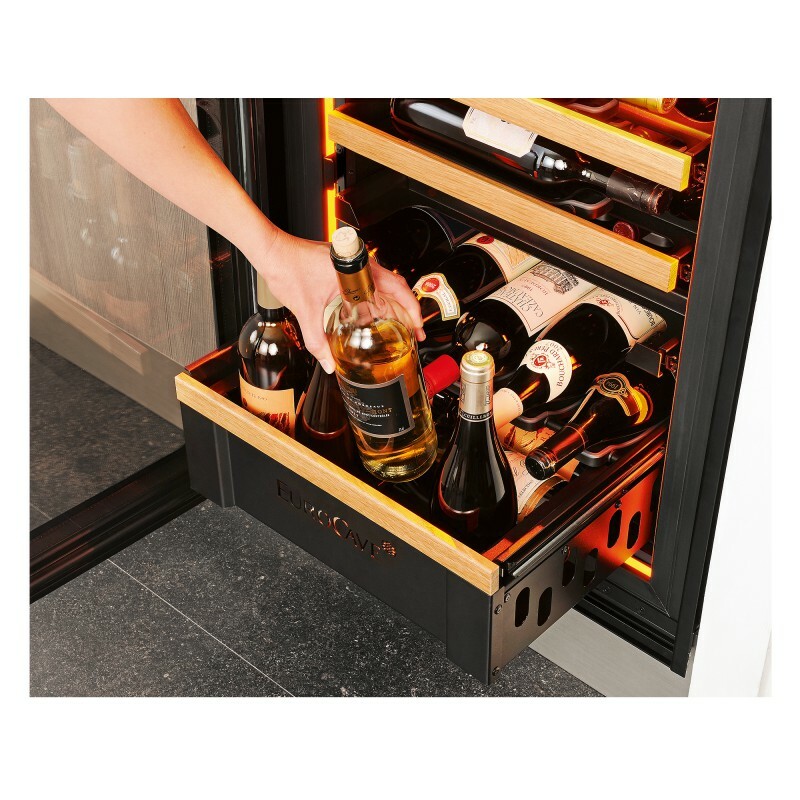 You can fit it with sliding shelves fitted with Main du sommeliers and sliding serving shelf allowing you to store opened bottles upright. You can store up to a maximum of 29 bottles with 4 sliding shelves. Inspiration offers you the choice between different shelf configurations, door types. In addition, each model can be built-in or integrable.